Once your application for approval has been received, we will contact you to arrange a suitable time to speak with Eva in order to get a good understanding of your mortgage needs. We will also make sure that we get enough information to do a full mortgage approval. We will also ask you to think about how long you wish to keep your mortgage. If you plan to sell the house in a few years you may want to consider a short-term or variable mortgage. If you plan to keep the house for a longer period of time, you may want to look at your options with fixed mortgages. 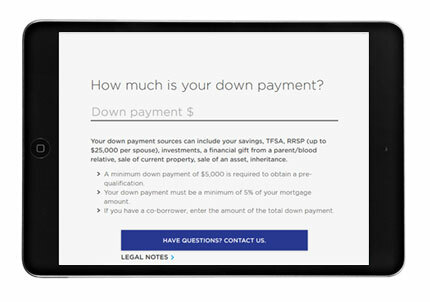 We work with you to determine the best product for your needs and discuss how to quantify the costs and savings of different mortgage options. Once we have an approval for you, it will be in place for 60, 90 or 120 days (depending on the lender). Once you have found a property, we will submit all relevant changes to the details of the mortgage and property to the lender that gave you your pre-approval. At this point, we will require the balance of the documents outlined in Step 1 that you may not have gathered for your initial pre-approval. At this time, we recommend that you do not make any major purchases until your mortgage has closed. This includes vehicles, furniture, other properties, etc. Anything that causes the amount of debt you carry to increase may have an adverse affect on your pending application. Also, please do not move money into your bank accounts unless it can be traced. For example, if you are receiving money from friends, family or other relatives, please contact us first. Ideally, you’ll want to have the money moved into your account prior to the final application being issued to the vendor.